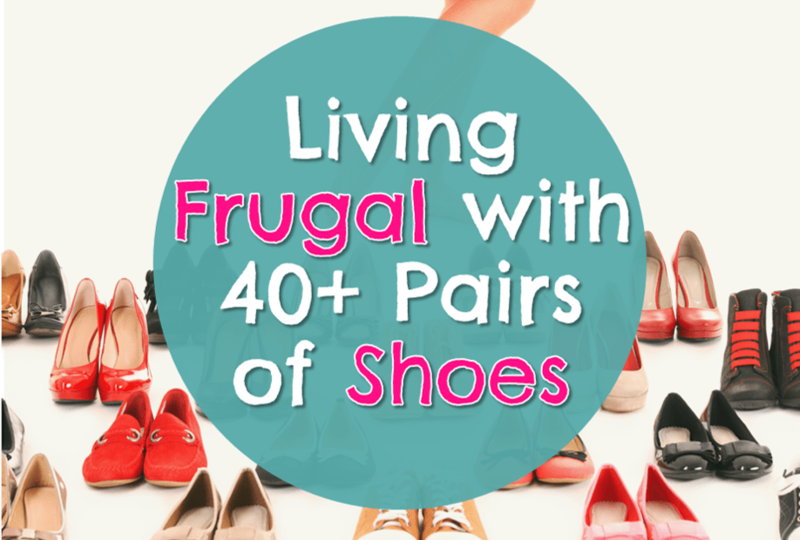 I'm Living Frugal with 40+ Pairs of Shoes (Yes, Really!) | Good Life. Better. 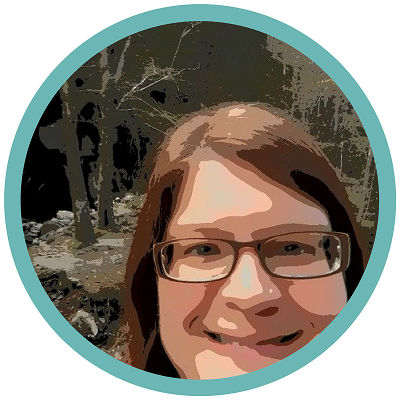 Until I started blogging a few months ago, I had no idea that “frugal living” had become a genre of its own. But type in “frugal” on Pinterest and more than 50 subtopics pop-up, everything from frugal apartment to frugal vegan (my favorite was frugal chicken which offered not just pins about cheap chicken recipes but low-cost solutions for chicken farmers). I haven’t written much about frugal living because I am not all together certain what I am doing counts as frugal. With the exception of groceries, my focus during my debt-free journey has been on not spending at all rather than on keeping costs down. However, having lost more than 30 pounds after adopting a keto diet, I have reached a point where I need some new clothes. What’s nuts is that after nine months of avoiding the mall, I find going shopping isn’t as easy as it once was. Does this mean I am now “living frugal”? Defining frugal is easy—the dictionary.com definition is “economical in use or expenditure; prudently saving or sparing; not wasteful”—but it is less clear what it means to live frugal. Many frugal living bloggers seem to focus on the first part of the definition: spending less on the things you buy. In my life, this is most relevant to shopping for groceries (Trader Joe’s and Aldi are my stores of choice). In all other aspects of my life, I like to think I prioritize the third definition of frugal: not being wasteful. To me, this means I prioritize not buying more than I need instead of spending as little as possible on the things I do buy. To me, this means I prioritize not buying more than I need over spending as little as possible on the things I do buy. To be frank, I am just not that interested in spending what little free time I have looking for bargains. Those trips to Trader Joe’s and Aldi? Overall they help me save money because those stores offer lower-priced goods but I’m still going to buy the free range eggs instead of the least expensive option. I specifically mention income because I worry people in the frugal blogosphere are so focused on spending less that they don’t prioritize earning more. Getting a $5,000 raise or earning money from a side hustle will likely help me reach my financial goals a lot quicker than buying toilet paper in bulk at Costco (which I would never do as my small, 1-bedroom condo is more suited to the just-in-time acquisition of TP). Minimizing purchases is a relatively new concept for me that grew out of the spending fast I undertook the summer of 2016 (you can read more about it in this guest blog post I wrote for Millennial Money Man: How to Kickstart Your New Year with a Powerful Spending Fast). In my 20-odd years of being an adult prior to this spending fast, shopping had been one of my favorite ways to pass the time. I would spend hours looking for bargains and seconds justifying purchasing yet another black sweater because “it was such a good deal.” As such, I had accumulated a lot of stuff. 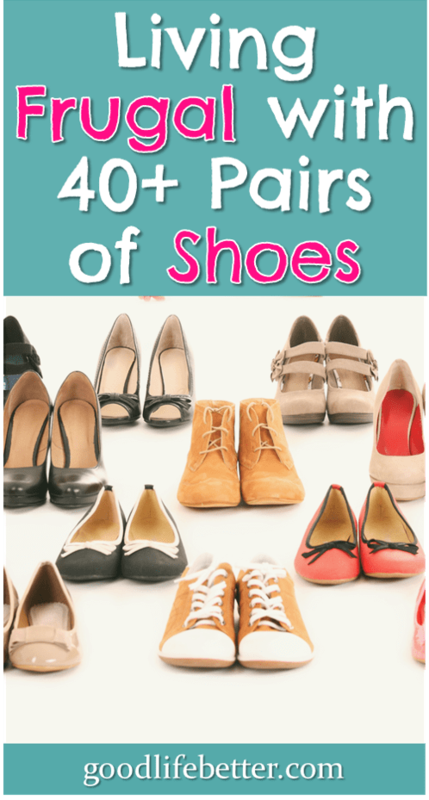 For example, I am brave enough to admit that I currently have around 40 pairs of shoes (this includes everything from flip-flops to hiking boots). That is a lot of shoes. It means I could change shoes every 36 minutes in a 24-hour period of time before I would need to re-wear a pair. That’s sort-of crazy. I didn’t buy all these shoes at one time, and I have actually gotten rid of a lot of shoes recently to get down to only (only!) 40 pairs. The pair I have had the longest is a pair of lace-up Dr. Martens boots from my study abroad year in England. They have tie-died laces and I will probably keep them until they wheel me into the nursing home. My newest pair is a pair of black flats bought because I wore through the bottoms of my previous favorite pair. 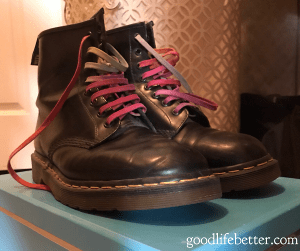 Even though I can’t recall purchasing the Dr. Martens, I know without a doubt that I didn’t need them when I bought them, and minimizing the number of shoes I owned never entered my head as I handed over my credit card. I bought them because I wanted them and they were something to remember my year in England by. Flash-forward 20 years and I can not only recall purchasing the flats but know with certainty that I bought them only because I needed them. At $60 were they the least expensive option? Nope. But since I am only buying exactly what I need, I am less concerned about bargain hunting than I am buying a pair of shoes that fit well and will last me a while. Can a Spender Who Has Become a Saver Go Back to Being a Spender? Returning to my current conundrum: how do I make myself go out and buy some damn pants that fit? When I saw this recent blog on www.budgetsaresexy.com I was so psyched. In it, J. Money discusses how his wardrobe has gone downhill since he started focusing on spending less because he just doesn’t want to take the time to go shopping. To address the issue, he started an experiment ordering everything online. This solution doesn’t really help me right now because I don’t know what size to order but his account did make me feel like less of a freak. I was a spender who is now a saver and is having a hard time going back to being a spender. And I’m not alone! I have had a couple of failed shopping trips over the last few weeks but I am determined to go to the mall and not leave until I have a least two new pairs of pants whatever the costs. I also have plans to get a few of my current pairs of pants tailored. It probably won’t be any cheaper than buying new pants but it will make me feel less wasteful. Is this frugal living? It is for me. How are you living frugal?